Festo, a company that specializes in automation technology, has recently announced its new robot, and boy is it awesome. 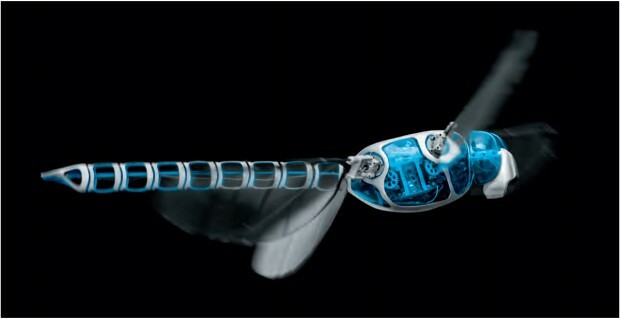 I present to you the BionicOpter, a robotic firefly. Incredibily enough, current prototype looks identical to the real insect. Although it seems almost too good to be true (all things consdiered, it has only been a day after April Fools), this is a real thing. Furthermore, the flight patterns of this robot are very similar to those of an actual firefly. Although the BionicOpter may seem rather small, it is actually nearly 45 centimeters in length; if you were to see one outside, you could easily tell the difference between the Opter and a regular insect. The firefly is made out of carbon-fiber, and a special ARM chipset serves as the bots' "brains."